In August, a Siesta Cove Drive homeowner and a project inspector almost simultaneously discovered a hairline crack in the wall of the homeowner’s garage. 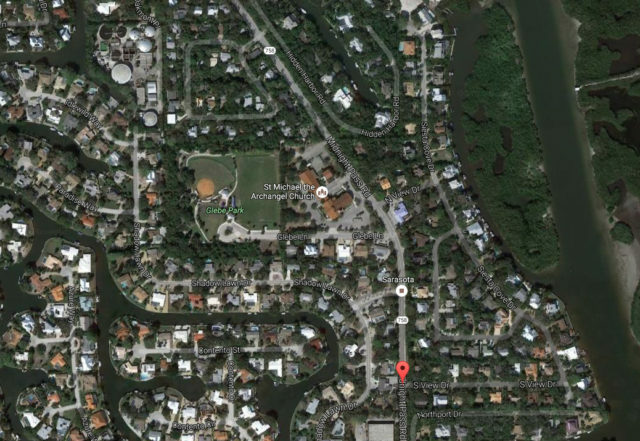 The incident occurred as a contractor was working on the first phase of Sarasota County’s project to install a new water line and a new sewer force main between Siesta Key and the mainland. The third phase of the project will entail the decommissioning of the wastewater treatment plant on the barrier island, which is more than 40 years old. “We stopped things immediately” after finding that crack, Jack Gibson, the construction project manager in the county’s Public Works Capital Projects Division, told The Sarasota News Leader this week. Staff has been working with engineering consultants — including those with geotechnical expertise — since August to try to determine exactly what happened, Gibson said. “They hit some really hard material,” he added of the crew members, before they were able to drill under the ICW. Therefore, the goal is to figure out how best to proceed, he told the News Leader. Before undertaking such a project, he explained, “you do all the investigations you can, but there’s no guarantee [that everything will work as planned].” No one knows with absolute certainty what is below the surface until after such an initiative has begun, he said. “We’re hoping within the next couple of weeks [to resume the drilling],” Gibson continued. 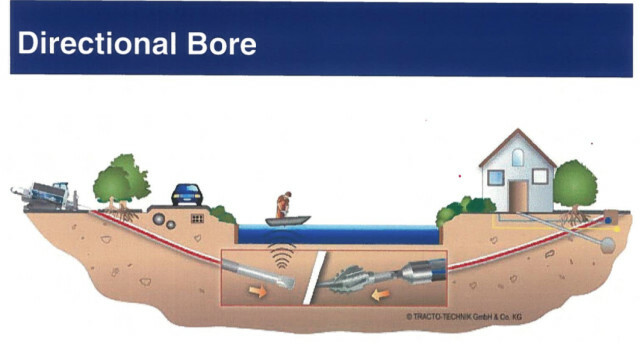 This is not the first time the county has been involved with the installation of a pipeline under the Intracoastal Waterway (ICW), Gibson pointed out, but this is the first project of this size it has pursued, to his knowledge. The overall, three-phase undertaking includes the installation of 5,400 feet of the new 20-inch sewer force main from Constitution Boulevard, just east of U.S. 41, through Phillippi Estate Park and under the ICW to the intersection of South View Drive and Midnight Pass Road, county staff explained in a Sept. 6 memo to the County Commission. 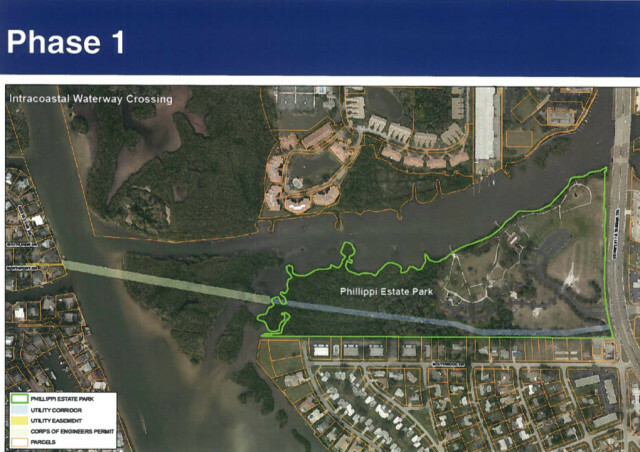 The new pipeline will allow about 1.5 million gallons of wastewater per day to flow from Siesta Key to two of the county’s water reclamation facilities for treatment on the mainland, the memo adds. Yet another phase of the work involves the installation of approximately 5,000 feet of a new 16-inch water main in the same corridor. The final phase will take the sewer force main to the Siesta facility and transform the plant into a master pumping station only; that has been planned for the summer of 2017, so as not to interfere with seasonal or school traffic. The Siesta Wastewater Treatment Plant originally was scheduled to be taken offline at the end of this year. 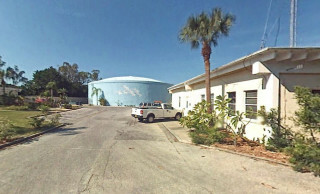 However, objections from mainland residents regarding facets of the project led to a redesign, resulting in a delay of the decommissioning of the plant to the end of 2017, the county’s engineering design manager, Gregory Rouse, explained to members of the Siesta Key Association in April. Because his focus is just on the first phase of the entire project, Gibson told the News Leader, he could not address how much of an impact a continued delay of Phase I might have on the ultimate decommissioning of the Siesta Wastewater Treatment Plant. According to an agreement with the Florida Department of Environmental Protection, the county officially has until June 2018 to stop using that facility. Rouse was set to provide an update on the entire project to Siesta Key Association members during their regular meeting on Nov. 3, which was held after the News Leader’s deadline for this week. While awaiting the outcome of the consultants’ work, Gibson pointed out, the contractor has focused on other aspects of the project in an effort to mitigate any delays with the ICW segment. All of the horizontal directional drilling has been completed in Phillippi Estate Park, he noted, as well as the drilling under U.S. 41 and Constitution Boulevard.